In the face of the rapidly changing Wholesale Women's Clothing world, one brand that’s seemingly thriving thanks to its versatility and dynamism is Vocal Apparel. Pretty much like the name suggests, this garment creation line has been churning out top quality, cute, contemporary and suave women’s attire of elaborate designs. It was founded over a decade ago, but the moment, the way it has slowly and gradually carved itself a name in the highly competitive women’s fashion world is mesmerizing. Vocal Apparel has evolved into a one-stop shop for those who like a major women’s clothing shopping hub. For ardent fashion lovers, it is the need for classy and stylish attire for those women of Los Angeles and the greater US that has bolstered its popularity. But, unless you visit their online shop or one of their renowned stores, your wardrobe will not get a nice retouch. 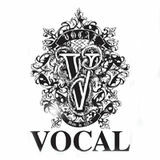 What makes Vocal Apparent your #1 Clothes designer of 2017? With a name, so one of a kind, a design team so passionate, history unrivaled and lots of sassy, trendy and fashionable products for fashion-savvy Los Angeles, Vocal is truly VOCAL. It is a brand that perfectly serves the needs of those ladies who fancy a modern look with a vintage twist. In fact, it is one of the greatest makers of cool ladies cardigans, designers shirts and sweaters, leggings and other feminine clothes in the US. One feature that indeed makes this clothes maker one of the industry’s game changers is the fact that everything they offer come with a mark of quality. 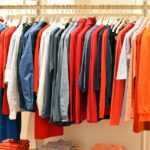 Every piece of cloth sold in each of their retail stores - whether it is the Faux Suede Cardigans, Studded Leggings, Bling Shirts or vests with pockets, are made in the US. Vocal Apparel is based in L. A, California where everything from cutting, dyeing, printing, storing and sewing to dispatch is done. If you visit one of their main stores or decide to shop on their online store, one great incentive that you will readily like is how their products are impressively priced. There are way too many garments made with the finest materials and incredibly arranged for all to visit, view, try themselves on and buy. It’s no wonder famous fashion lovers, and women celebrities flock Vocal Apparel. Shipping costs are to high.